On Thursday, March 28, Korouva Milk Bar held a St. Patrick’s Day themed open mic event called Shamrocks and Shenanigans. Open mic nights allow students to come and perform any song, poem, or other forms of creative expression. Many students even use the platform to get more comfortable performing in front of crowds and showcase their pieces for the first time. 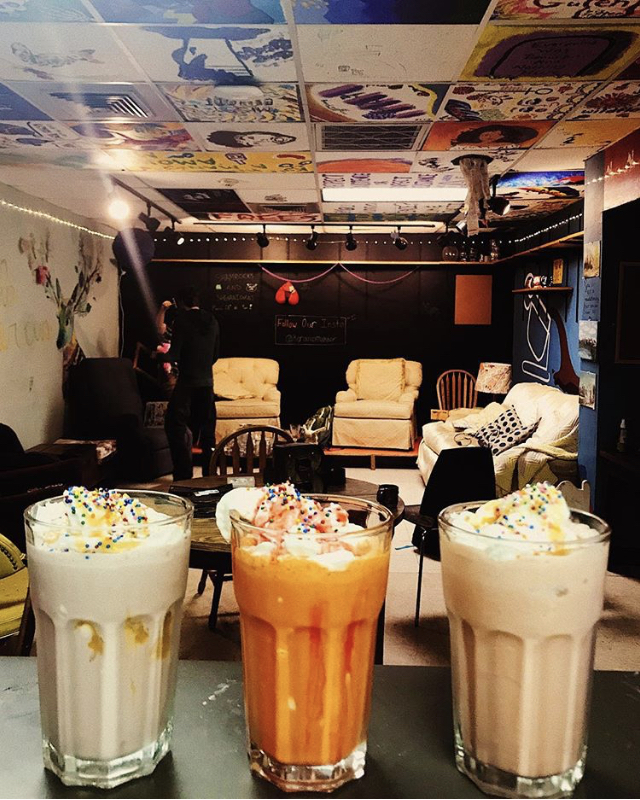 Korouva Milk Bar is a student-run coffee bar on campus that’s based on volunteers. 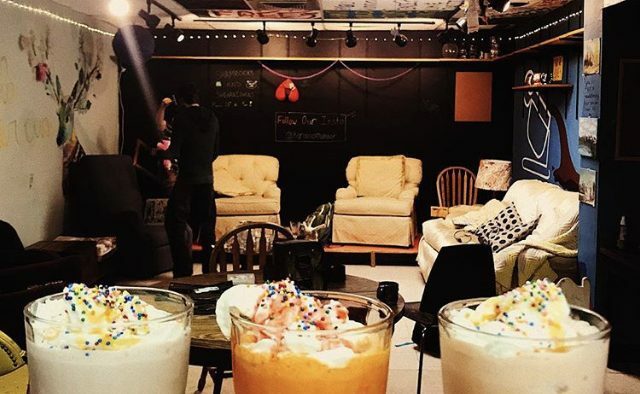 To learn more about the organization, the Megaphone has another article that goes into more depth about the coffee shop besides open mic nights. Past open mic nights always have some sort of theme, usually revolving around a holiday. The two most popular open mic nights are Spookeasy, the Halloween themed one, and Love is Dead, the Valentine’s Day themed one. This year, Love is Dead was changed to Love is Bread for a more carbohydrate fueled night. In between acts, bad puns based on the theme are told by Zoe Watts, the current president of Korouva, or Hazel Hedrick, one of the co-presidents for next semester. There are also special drinks that aren’t sold after open mic night inspired by the theme. While Shamrocks and Shenanigans was St. Patrick’s Day themed, there were also Shrek references included in the promotions. For instance, one of the special drinks was called Shrek Hates the Irish. Camila Ramirez, one of the baristas who helped make the drink, explained why Shrek, a Scottish character, was included in a Irish holiday themed open mic. “He’s green and he’s kind of like this weird uncle to all us college kids who grew up watching the movie and I wanted something familiar for our customers,” said Ramirez. This was the first open mic night after a new chalk wall was installed behind the stage. While the wall includes information on upcoming events for Korouva, students can also draw or write whatever they want with barista permission. The last open mic night of the semester will be held on April 18. The theme will be Spring Cleaning in reference to Korouva getting rid of old glasses and furniture. There will be an auction to buy anything up for sale after it’s over.